Black IPA is still a style that I don’t really understand. I have had a few and the only two that are memorable are Ted Bissell’s homebrew and Foster from Hill Farmstead. The rest are not all that memorable and the Noonan Black IPA falls into that category. This is a nice beer and a good example of the style but nothing to get too excited about. Color is black with a thin tan head, aroma has more roasted malt, coffee, chocolate than hops but there is some piney/citrus hops in there. Taste is about the same with plenty of hops to start and then the chocolate, roasted malts take over. Still seems an odd combination of flavors for me. Overall this is a fairly easy drinking black IPA but it is not a style I would drink on a regular basis. Brewers Description: Black IPA doesn’t quite seem to make sense, does it? How can something that’s black also be described as pale? 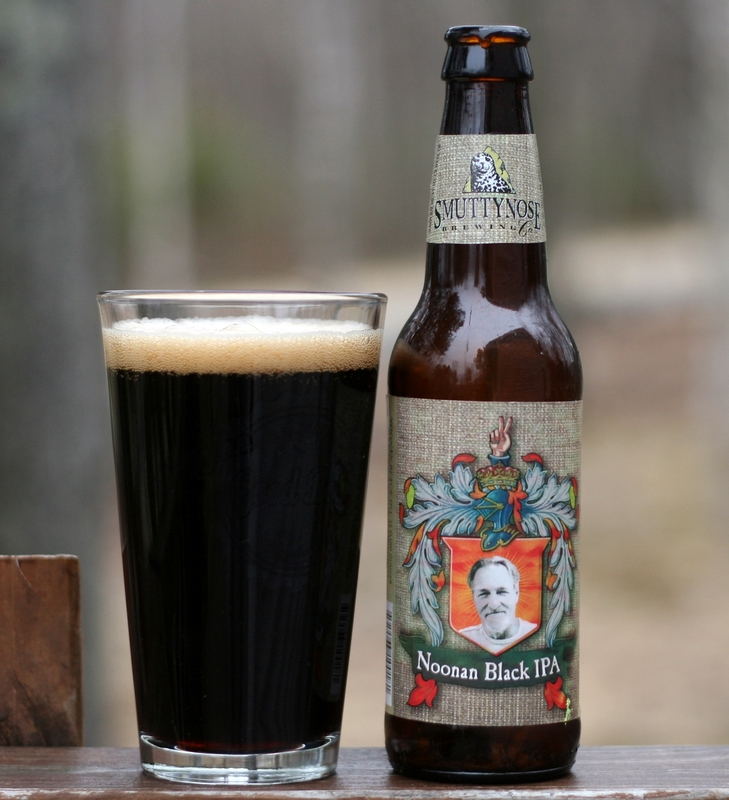 Noonan is our interpretation of a New England original, the Black IPA. 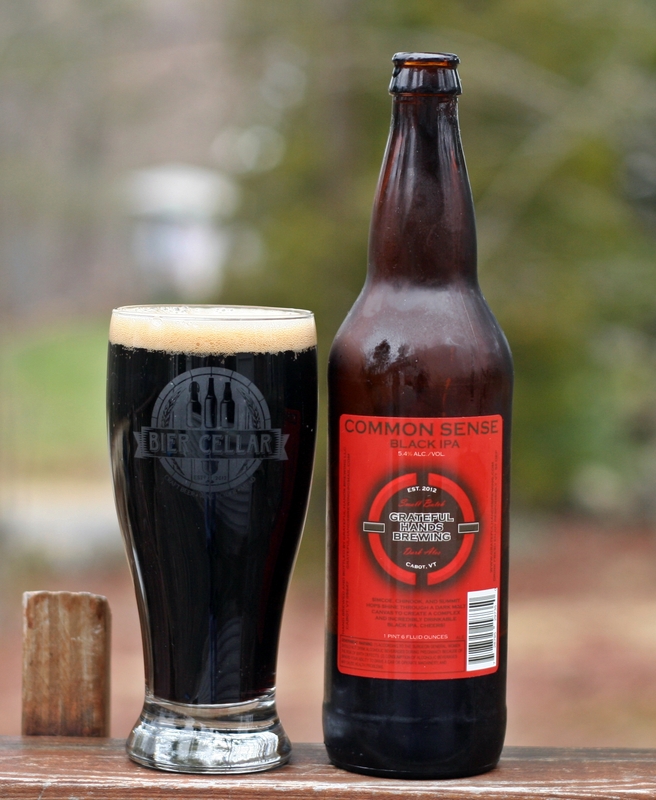 Dark like a porter, but hoppy like an IPA, this seemingly contradictory beer style originated in 1994, in Burlington, Vermont by brewer Glenn Walters and under the watchful eye of Greg Noonan. Greg was many things, a brewing pioneer and author, founder of three brewpubs, 2005 Russell Scherer award winner and genealogist. 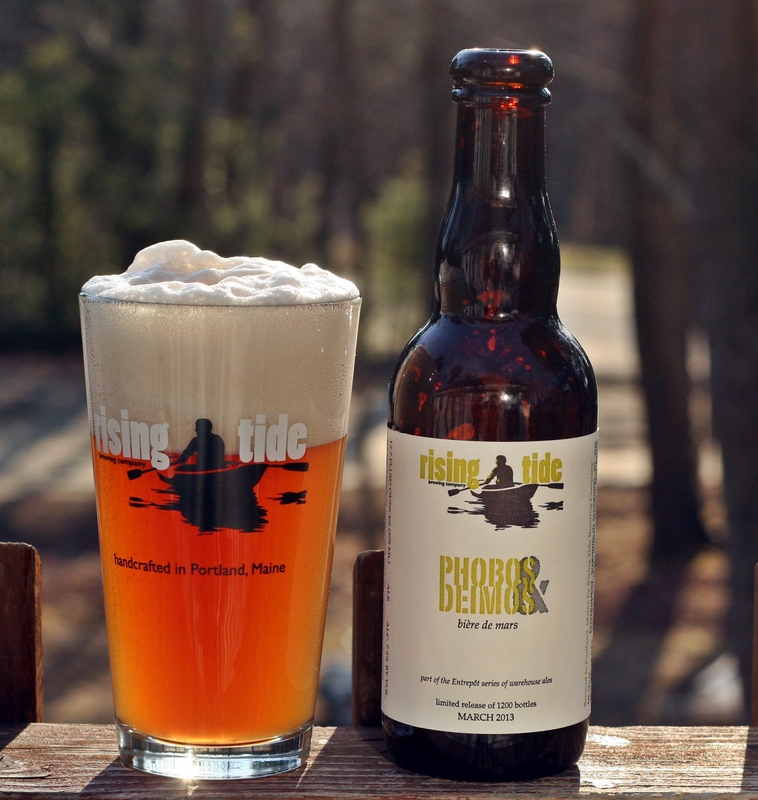 When Greg passed away suddenly, Smuttynose’s brewing team wanted to brew a beer in his memory and this was the result. We hope you find it a worthy tribute as well. Noonan (the beer) looks like an ordinary porter or stout, until you get the pint up to your nose. You can’t avoid the big whiff of piney, herbal and citrusy American hops, but there’s virtually no roasted character. Ponderous, huh? 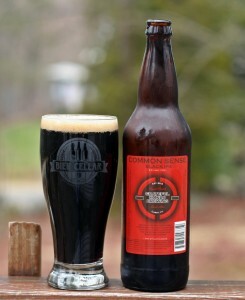 When you take a sip, you’ll notice that the beer doesn’t taste a lot like a porter either. Instead of the expected astringency imparted by dark grains, you’ll find a depth of caramel malts and more American hops. Don’t worry that’s by design; it’s also what we love about the beer. This is my second beer from Grateful Hands, the other being their Retro IPA. This is their black IPA and another enjoyable beer. The appearance is black, as you would expect, with a thin tan head that dissipates quickly. Aroma is more sweet than hoppy but there are some pine, citrus hops in there. Taste certainly leans more towards the sweet roasted malts than hops. The hops are there but way in the background, overall an enjoyable beer but needs more of a hop presence. Brewers Description: This dark IPA is built on a malt canvas of American base malts with the addition of a de-husked black malt to give it a dark color and slight roasty flavor without imparting dark, burnt, bitter, or intensely roasty flavors typically derived from dark malts. Summit, Chinook, and Simcoe hops throughout the boil provide clean, pine and citrus flavor and firm bitterness, and a healthy of each as dry hops add a layer of grapefruit and spring-like aroma. Cheers to year-round dark, hoppy goodness! This is a special release beer from Rising Tide, a total of 1,200 – 375 ml bottled were produced and sold at the brewery as well as retailers in Maine and New Hampshire. Phobos and Deimos is part of their Entrepôt serires or saisons. I picked this one up at The Vault in Lewiston. Nelson Sauvin hops are the only variety used in this beer and I find them particularly delicious. The beer pours a very bright orange color with a nice unfiltered look and huge white head that extends well above the rim of the glass. Aroma has a nice light hop aroma. Overall an appealing beer that does not disappoint when you taste it. Lots of fruity, wine character from the hops and just a small amount of peppery spice. I really enjoyed this beer and would certainly recommend you grab a bottle if you see one in your local store. This one came from a trade and was from a brewery I had not tried before. Short’s is a brewpub in Northwest Lower Michigan and it looks like the only distribute in Michigan. The Rye Not? is a rye IPA and part of their specialty bottle release program. Appearance is a nice unfiltered orange with a thin white head. The rye dominates the aroma with some citrus and floral hops coming through. Lots of rye spiciness in the flavor with a fair amount of bitterness. Overall this was an enjoyable rye beer but nothing too exciting. 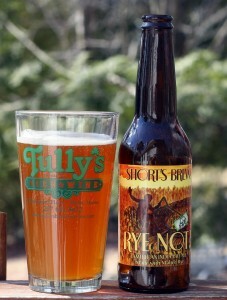 Brewers Description: Rye Not? has massive floral hop qualities, amplified by notable rye characteristics that blend together perfectly and offer ample citrus and subtle pine fragrances, creating a truly memorable nose. The rye-based theme continues as the distinctive flavors of this grain stand out as the distinguishable malt characteristics. The focus from rye to an intense bitterness shifts quickly and lingers well into the finish, transitioning into a heavy dryness during prolonged tastes. 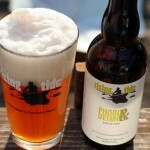 This must be a new beer from Cisco Brewers as I cannot find much info online about it. 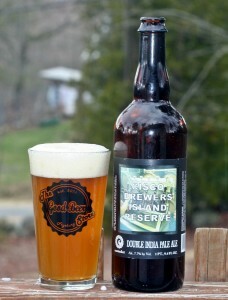 This is part of their Island Reserve program which means it is actually brewed by them and not contract brewed. I don’t mind contract brewed beer as long as it is quality. The Cisco cans I had last summer/fall were not very good but the Island Reserve stuff seems to be much better. This double IPA has your typical orange color with a two finger white head. Aroma has plenty of fresh hops and a bit of alcohol. Taste follows with a nice hop profile but also quite a bite. The alcohol is warming in the finish and not as well masked as many other double IPAs I have reviewed. Overall this was a tasty DIPA but nothing outstanding. When compared to those available from Hill Farmstead, The Alchemist, Maine Beer, Resin from Sixpoint or Full Throttle from Sebago Brewing it just doesn’t hold up. Picked this one up when I was in Vermont last month along with their black IPA which I will review soon. This is a straight up American IPA with a nice orange color. 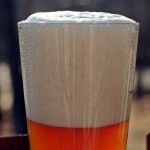 Minimal head and no lacing even with an aggressive pour. Aroma has some pine and floral but no citrus notes. Taste does have a hint of citrus in addition to the pine you get in the aroma. Overall this is a nice single IPA with a clean finish that makes it quite refreshing. Looking forward to more beer from Grateful Hands. 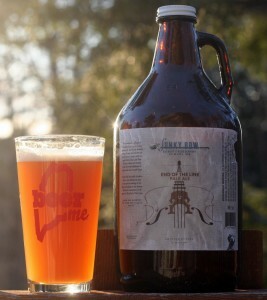 I grabbed a growler of this beer the day before they started officially selling growlers. Abraham filled it directly from the bright tank and it was a bit of an experiment as they put the label on the growler prior to filling but should have waited until after as it got very wet during the process and started to peel. The beer is a very nice pale ale with a great orange color and thin white head. This beer is extremely murky, I like unfiltered beer so this is not an issue for me but some might find this to be an issue. 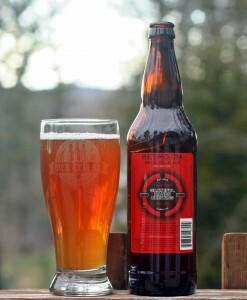 Aroma has a fair amount of hops and the taste follows with a nice hops presence in the beginning. Overall this beer was quite refreshing and enjoyable and I think it will only improve as Abraham gains experience on the new brew system. If you have not tried End of the Line Pale Ale yet you should make an effort to find it on draft or get to the brewery for a growler. 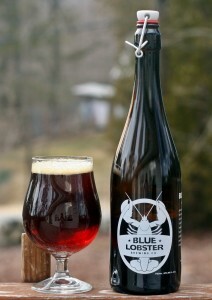 This is the first beer from Blue Lobster that didn’t get a high rating from me. That may be more due to the style than the beer itself as Biere de Garde are not overly exciting. This was brewed as a base beer for a port barrel aged beer that should add a lot to the original brew. This beer has a nice deep red color with a thin tan head. Not a lot of aroma but what is there is a light malt. Taste is simple with the same sweet light malts coming in and only a slight bitterness in the finish. Overall this is a fairly simple beer but should work well as the base for their port barrel aged experiment. Looking forward to that beer when it is available. 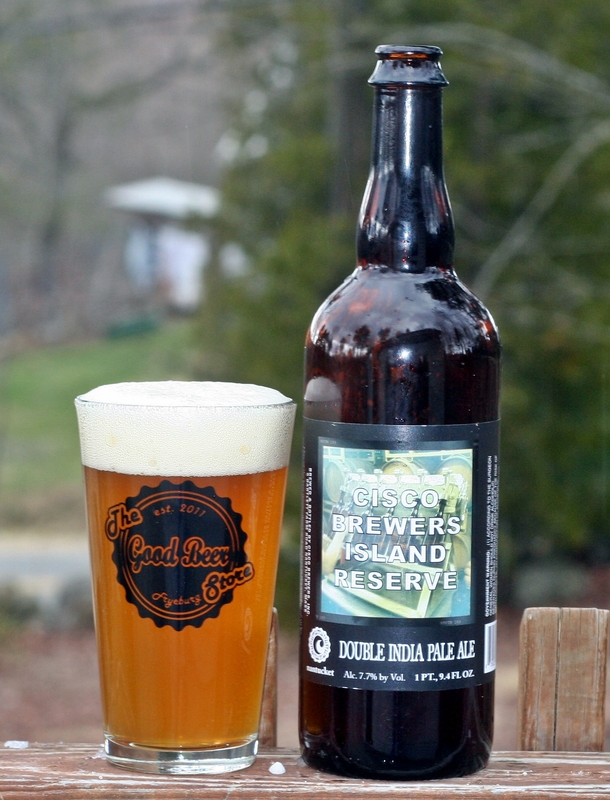 Brewers Description: Our interpretation of a traditional Biere De Garde. Brewed in collaboration with Paul Vaughn utilizing fresh ground Tennessee Grits. Clean, malty, and unassuming. This beer is also the base for Paul’s Boutique, our brett/bacteria port barrel Biere De Garde. 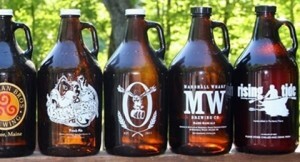 If you follow my blog you know how much I enjoy growlers. 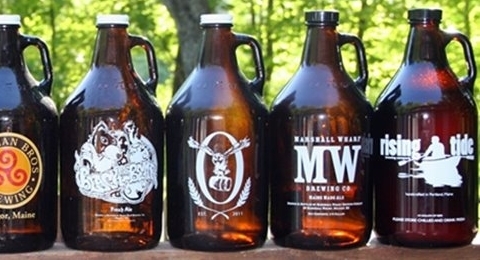 There is a new bill introduced to the Maine Legislature that would allow your local beer store to fill growlers directly from kegs. Imagine walking into your favorite beer store and they have a few rotating taps, you decide which beer you would like, the growler is filled and you are on your way. I love visiting breweries but sometimes I just want great fresh beer without trekking to Newcastle, Belfast or any of the other great breweries located hours from my home. The bill is currently in committee so everyone needs to contact the Veterans & Legal Affairs Committee and encourage them to recommend it with a Yes vote on April 24th. Link to the Veterans & Legal Affairs Committee is here. Once the bill makes it to the entire legislature we will all need to contact our Maine Representative or Senator and ask them to support LD-1082. If you are not sure who your representative is find the list here. – Find you Maine Reps.
Also please be sure to share this post so others will contact their representatives. Links to share on Twitter, Facebook, etc are below.